Jahanzeb Naseer and Rizal Gozali at Credit Suisse talk about the economic and financial outlook for Indonesia. Indonesia’s President-elect Joko “Jokowi” Widodo is officially sworn in October 20. What kind of economy will he inherit? The Indonesian economy still has some pressing challenges as the current account deficit that emerged in recent years needs to be gradually reduced. The economy is heading in the right direction with inflation decelerating and credit growth easing but the adjustment is incomplete, which means interest rates will remain higher for longer. From a record low of 5.75% in February 2012, Bank Indonesia’s main policy rate has steadily been hiked, reaching 7.5% less than a year ago. We expect it to remain at that level until the second half of 2015, when a cut of 50 basis points is possible, depending on the actions of the new government. As a result, Credit Suisse expects Indonesia to maintain a stable GDP growth of 5% and 5.2%, respectively for 2014 and 2015. We expect Indonesia’s external position to improve but at a slower pace than previously thought. Our newest forecast is for the current account deficit to narrow to 3% of GDP this year and 2.6% next year, from 3.3% of GDP in 2013. Exports have slipped because of commodity price weakness – not least in the case of coal – but also due to the ban on mineral ore exports imposed by the outgoing president in January to encourage more processing of minerals domestically. But now that a deadlock between the government and key copper mining companies is partly resolved, Indonesian exports are forecast to grow by 4% in 2015. What are the priorities for the new leadership? The most pressing task is for the government to put its own house in order. The challenge is not simply to rein in the budget deficit, which we believe will peak this year at 2.7% of GDP, but to improve the quality of public expenditure. In this respect, cutting fuel subsidies and investing more in Indonesia’s overstretched and inadequate infrastructure is pivotal. Our base case is that subsidised fuel prices will be hiked to a similar degree as last year, translating into a 30% rise in benchmark gasoline prices and adding up to 2.5 percentage points to headline inflation. We expect this before year-end. As such, we expect the headline inflation rate to peak at around 7% in December. Any delays to fuel subsidy reform could push interest rate cuts back to 2016. In a worst- case scenario, it could even result in a rate hike. That’s because the US Federal Reserve, having slowly wound down its programme of quantitative easing, could yet signal a rise in global interest rates sometime in 2015. So if Indonesian inflation were to spike during this period it could put the rupiah under pressure, prompting a response from Bank Indonesia to support the currency. The flipside of cutting Indonesia’s fuel subsidies is to channel some of the saved money to more productive means. In the World Economic Forum’s latest Global Competiveness Report, Indonesia scores more highly than Spain - yet when it comes to the quality of its transport infrastructure and electricity supply Indonesia is rated among the worst in Southeast Asia. We estimate that a fourth-quarter fuel subsidy cut would free up fiscal space equivalent to about 1% of GDP in 2015. Up to two-fifths of this could then be spent on infrastructure and social programs, as President-elect Jokowi promised during the election campaign. What else are you hoping to see? Greater transparency and respect for the rule of law. This is what Jokowi built his reputation on as Governor of Jakarta, where he made greater use of technology to cut out graft by automating payment systems and to publish better budget data. He could also beef up anti-corruption units and raise the bar for the rest of the country by implementing global best practices in government ministries and state-owned corporations. Without majority party backing in parliament, though, it remains to be seen just how quickly Jokowi can form a coalition to implement real change. 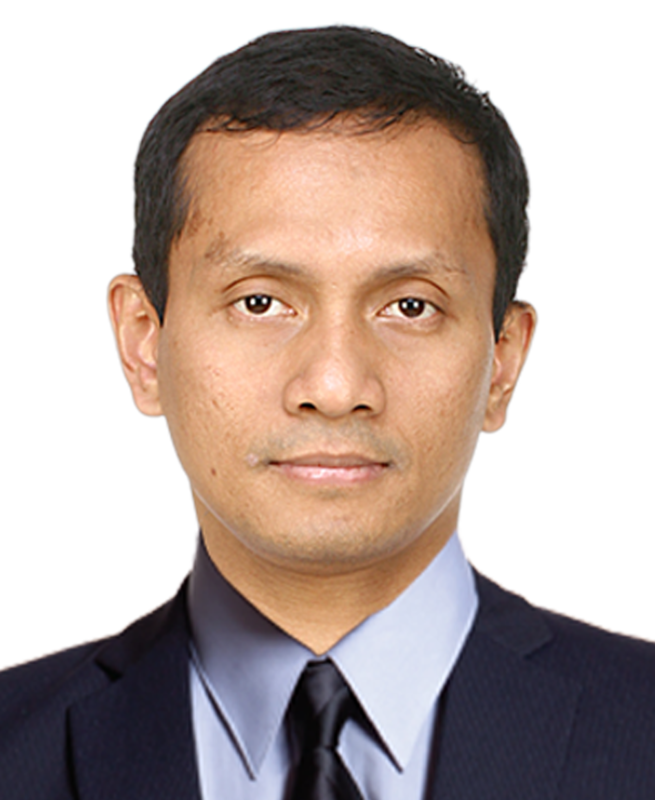 Does the election of a new president herald a potential boom for Indonesian capital markets? Where do you see the best opportunities? Having struggled at the turn of the year as current account concerns and political uncertainties weighed, the Indonesian equity market has added more than 20% so far in 2014. And it looks set to continue rallying, driven by strong corporate earnings and improved risk appetite. In fact, there is potential upside to corporate valuation. This creates a favourable environment for investment banking because Indonesian companies are encouraged to raise more capital to fund their expansion, not just domestically but elsewhere too. After a quiet first seven months of the year, we now see healthy demand from corporate clients for both equity and debt funding. We think there will be a good amount of issuance to come from the consumer and banking sectors but the up and coming sector is infrastructure, in keeping with the new government’s priorities. What does the deal pipeline currently look like? We believe that the investment banking environment will continue to be strong as companies continue to raise capital in the country’s strong economic environment. Credit Suisse is involved in several large mandates that we believe will result in landmark equity deals in the coming months. We are hoping for a repeat of 2010, when a record US$11.2 billion of Indonesian equity was issued, as opposed to what we have seen in the years since then, which has varied between US$3.8 billion and US$4.8 billion. There is also significant debt issuance in the pipeline as corporates look to hit their fund-raising targets before the Fed starts hiking rates. We have seen new issuers come to market, including port operator Pelabuhan Indonesia III’s (Pelindo III)’s US$500 million bond deal, as well as corporates who want to take advantage of low US Treasury yields while they can. In the case of M&A, Credit Suisse has over the past decade been the leader in cross-border M&A and we see private equity firms and foreign corporates casting an eye over potential opportunities in Indonesian infrastructure, banking, and consumer goods and services. Indonesian corporates are also looking at potential overseas transactions to add to their successful businesses in telecoms and industrials. Over the past few years, many companies have achieved rapid domestic expansion through organic growth. However, as growth slows, we expect to see increasing appetite for M&A, particularly in sectors that are currently well-valued, such as commodities. What is certain is that we shall see a number of today’s mid-caps quickly develop to become tomorrow’s large caps, through a combination of organic and inorganic growth. What value can Credit Suisse bring to clients in Indonesia as business picks up? Indonesia is very much part of Credit Suisse’s DNA, having first established a presence in the late 1990s and then became a full member of the Indonesia Stock Exchange in 2008. We have been the top broker on the Indonesia Stock Exchange (IDX) every year since 2009, actively promoting the Indonesia story to foreign investors. Credit Suisse has remained committed to Indonesia and to our clients here for the past 17 years, maintaining our presence through both difficult times and better times. Throughout this period, we have built the largest on-the-ground investment banking team among international banks. Furthermore, we been very effective in leveraging our global network to enable our clients in Indonesia to grow, and to assist global clients in entering Southeast Asia’s largest economy. This commitment has allowed Credit Suisse to build a market-leading position across debt capital markets, equity capital markets and M&A advisory in Indonesia. In fact, Credit Suisse’s market share since 2003 in Indonesia (18%) is more than three times higher than the #2 bank (5%), and we have completed more than 150 public market deals. As the strongest and most experienced foreign investment bank in Indonesia, we are best placed to bring value to our clients and service their funding and strategic needs. Indonesia remains a very important market and we continue to see enormous opportunities in the future. We are proud to have won FinanceAsia’s award as ‘Best Foreign Investment Bank in Indonesia’ for the past 15 years, and remain committed to the market and to our clients here.